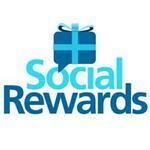 Social Rewards, a social loyalty platform, has closed a seed round of angel funding totaling $600,000. The company was self-funded for a year with $250,000 from founders Joseph Morin and Mike Uesugi before raising any outside capital, and exceeded its original funding goal of $500,000. Social Rewards provides a brand's customers with loyalty points for engaging in social media activity via Twitter, Facebook, Foursquare, and YouTube. Points may be earned, deposited, redeemed, donated, or transferred into a "bank" built on the Social Rewards platform. The offering combines social media, affiliate marketing, and loyalty rewards to help companies identify brand ambassadors and increase social engagement. At the core of Social Rewards is the ability to capture ROI from social media via a tracking URL. This capability allows companies to follow brand messages and engagement throughout the lifecycle of a tweet or Facebook post all the way to sales conversion where additional points may be awarded providing additional incentive. Full analytics reporting of brand mentions, clickthroughs, retweets, shares, and sales conversions are available through an administrative dashboard.